Not long ago, while enjoying a beautiful and sunny day on the Seneca Reservation, I was approached by Grandmother Twylah Nitsch. Grandmother is a beautiful and magnetic teacher who, at the age of 82, has made known her decision not to journey yet to the other dimensions until her work and that of others is finished.... Grandmother said to me in a very clear and pointed words, "You must write a book! What you teach is the real way it is. Now, prepare the young people to step into the future with those teachings." For many years I have resisted trusting the pages of a book to present the precious words of the Elders I have visited. When opportunities came for me to sit with many of our native elders, the practice of passing on teachings through oral tradition was reinforced. It is much more meaningful to teach in person, heart-to-heart, with clarity and the opportunity to answer questions. Over and over I ignored those elders who told me, "Tell this to those who don't know. Help them understand. Reach as many as you can. The time is right." 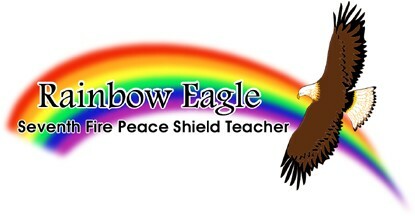 What is the Peace Shield? 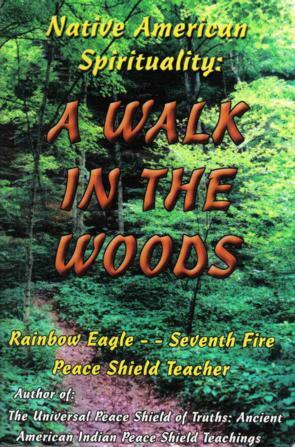 In the early 1980's the last Peace Shield Teacher of the Anishinabe Nation called me to his home for two winter visits. He shared with me and one other native person the teachings of the Peace Shield, an Ancient Anishinabe drawing, before he "changed worlds" in 1984. Native American spirituality can provide a foundation that will develop our relationship with all creations and all worlds, honoring the phrase that "we are all related". 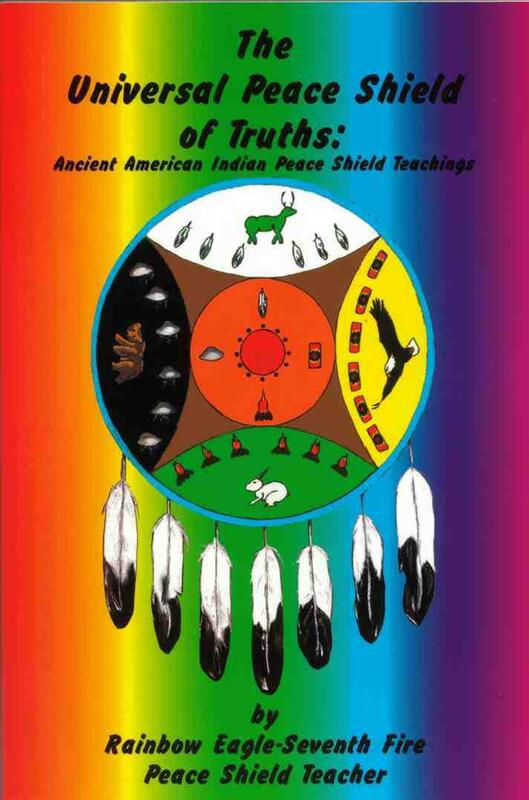 The Peace Shield Bundle was opened in early 1996 in a special ceremony in Taos, New Mexico to begin the sacred mission of the Peace Shield. Contained within the bundle is a sacred prayer pipe and a large elk hide upon which the Peace Shield is drawn. The "Seven Fire Prophecy" of the Anishinabe (Ojibwa) tribe foretold of this time to the ancient people. Seven prophets spoke of seven Fires, spiritual chapters or ages, and described things which would happen to the people during these times. In the 1970's we entered into the Seventh Fire. The Seventh Prophet said, among other things, that native ways would be honored and the elders would once again speak. Also, the light skinned race would be given a choice between two roads, to continue traveling the road of destruction or to choose the road leading to the lighting of the Eighth and final fire, an age of peace, love, joy and oneness. Having laid the spiritual foundation of Native American spirituality, certain native Elders are to reveal their Star Eldership and open the understanding they have regarding Star Wisdom and Star Knowledge.